It doesn't matter who you are cheering for; there is no denying that University of Kentucky (UK) is stirring the pot of madness this March. Though, not the first team to challenge the 75-76 Hoosiers, their 31-0 record has caught the attention of NCAA fans everywhere. When asked about his title competitors, University of Louisville (UofL) Coach Rick Pitino replied; "We've played great competition this year, and different competition. And I will say that, it doesn't surprise me that Kentucky is still undefeated...Obviously you have to have offensive talent to win. You have to have unselfish players." Of course the qualities Coach Pitino listed are known triats shared with UofL. If anything, UK has established themselves as a challenge; who can break their winning streak? 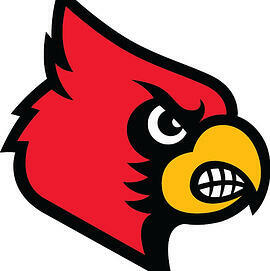 Pitino voiced his strong desire to win, but is that desire strong enough for the Cards to beat the Cats? The recent victory over Virginia certainly has a lot of people believing so. Not to mention the theory that UK's best chance at winning the championship is to end their winning streak, gain humility, and come in with focus for the final game. 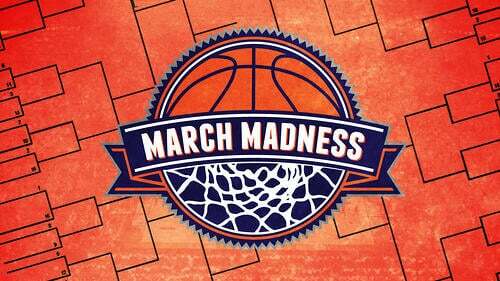 However you create your bracket; whether by dreams or data, the state of Kentucky has much to bank on. The cardiac Cardinals have been a thrill to watch all season and that thrill only intensified on Monday night when the University of Louisville turned on the heat to come back from a first-half, 12-point deficit to defeat the Michigan Wolverines 82 to 76. As the top overall seed in the NCAA tournament, UL earned those bragging rights with their 35-5 regular season record and a 16-game winning streak coming into the tournament. But character and determination really began to dominate when the 13 players on this tight knit squad suffered the devastating injury of point guard Kevin Ware. Although they fell behind in the second half of the semi-final game to Wichita State by 12 points, and in the first half of the finals to Michigan by 12 points, a scoring spurt led by Luke Hancock and four straight successful 3-pointers exhilerated the crowd and surged that fixated drive the Cardinal team has displayed all season. Not only did they come to the Georgia Dome to win, they came to win for Ware. With Hancock's on fire 3-point shot, Siva's 18 point solid contribution, and the dominance of Chane Behanan with 15 points and 12 rebounds, the Cardinals were unstoppable and came away with a hallmark 6 point win, very well one of the most memorable in Coach Pitino's 12 seasons at UL. The Lady Cards had a shot to earn the Championship title in New Orleans, as they faced the Uconn Huskies on Tuesday for the NCAA crown. Although the women's team faced an uphill battle to the top rung, they came up short against Uconn 93-60 in a hard fought battle. With a 29-9 season record, the Lady Cards were not expected to make it to the final dance as a 5th seed, but after pounding upsets to Baylor, the victory was close at hand. Although they didn't earn the title, the Lady Cards had an incredible season and pushed beyond all expectations to the final round. Toadvine Enterprises is proud of the University of Louisville Cardinals and congratulates them on their stellar seasons and Championship title this year.